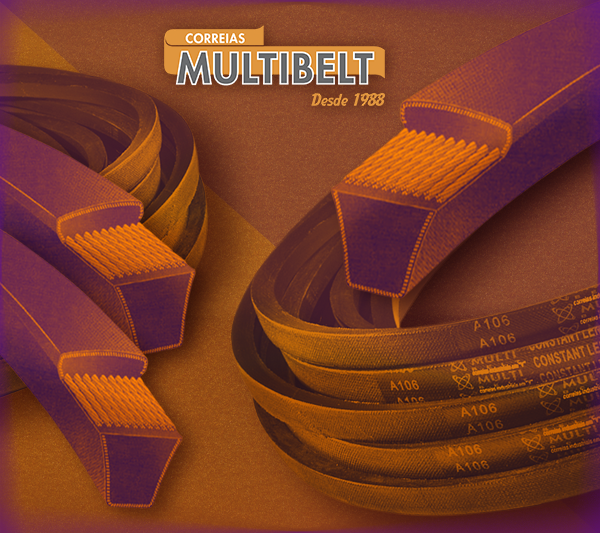 Multibelt belts and treadmills - Proven quality! Increased stability and load flow, with extra-abrasion rubber and better cost-effectiveness. Manufactured with the highest technology, they have great performance in the most required working conditions! Agility in delivery with superior quality. FDA food; Antistatic (ISO 284); High abrasion resistance; Anticholes (ISO 340). Manufactured according to the requirements of the European market, following the strictest quality controls and certified by the FDA! Optimum adhesion between tarps, low stretch index, excellent tensile strength and first-line finish! Check out 7 important tips! What is a V-belt made of? You use it on a daily basis as a fundamental part of the proper functioning of your machinery, but do you know what it is made of? Looking for PVC belt to transport fruit, vegetables and vegetables? Here we go! Do you know what a conveyor belt is made of? 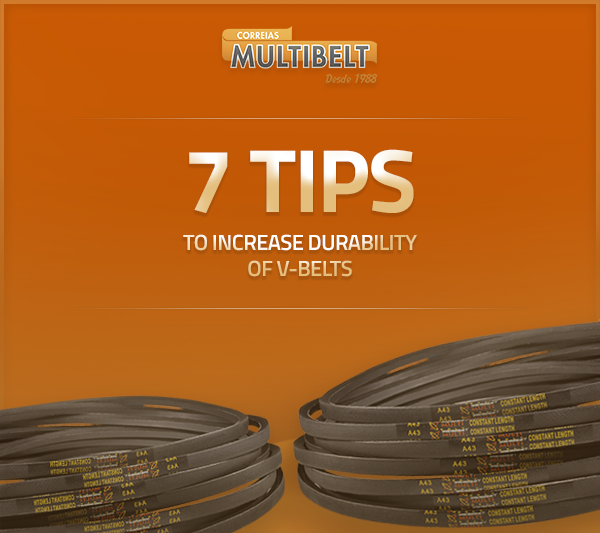 V-belt maintenance: Check out 7 important tips! How about knowing some procedures that will increase the durability of your V-belts? We have developed a mini e-Book with valuable V belt maintenance information so you can enjoy all the quality that only Multibelt offers! Breast Cancer: Multibelt supports the Pink October! Industry Maintenance: Preventing is better than cure! 12th edition of Bahia Farm Show: Multibelt participates in one of the biggest agricultural fairs in Brazil! PVC straps for transporting and raising sugar: You can find it on Multibelt!